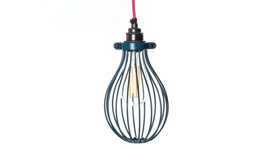 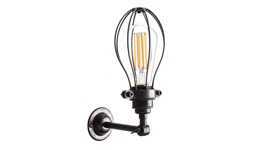 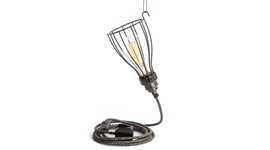 A silver bulb holder with a cord grip suitable for hanging using the supply cord. 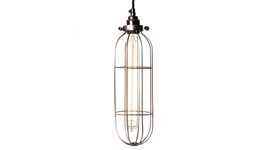 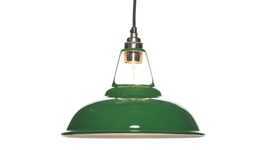 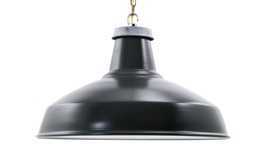 The lamp holder is not threaded to take a shade ring and is unsuitable for hanging a shade. 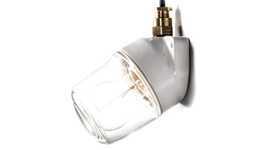 The same fitting is available with a hook or with a threaded nut suitable for attaching to 20mm conduit or similar. 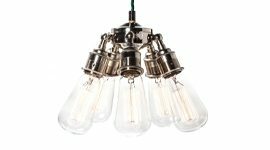 Lamp holders in the larger screw size (E27 or ES) are available in four finishes and three installation options: cord grip, hooked and threaded entry.